Lloyd’s insurer Hiscox’s UK and Europe division made a profit before tax of £65.2m in the first half of 2016, up 42.4% on the £45.8m in the same period last year. The division’s combine ratio improved by 6.9 percentage points to 79.9% (2015: 86.8%). Gross premium also increased by 9.3% to £345.6m (2015: £316.3m). 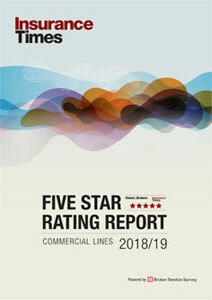 Hiscox attributed the improvement in underwriting results to “another relatively quiet period for claims and a focus on finding efficiencies through updated IT infrastructure and new e-trading solutions paying off”. Within the UK and Europe division, Hiscox UK and Ireland grew GWP by 9.3% to £244.4m (2015: £223.6m). The growth was driven by professions and specialty commercial lines in the insurer’s broker channel where it has expanded its appetite for larger risks. Hiscox’s direct-to-consumer home business has also performed well, benefiting from new IT system’s ability to tailor pricing. IT developments are also helping Hiscox in its high net worth and etraded business. The insurer added: “Product innovation remains critical and helps to differentiate us in these markets. “In high net worth home, we launched a new renovation and extension product designed to provide home-owners with additional protection when undertaking sizeable building works. Following the launch of Flood Re, Hiscox said there had been a number of claims but its exposure remained small. This includes the storms that battered parts of the UK in June. At group level Hiscox made a pre-tax profit of £206m, up 52.5% on the £135m it made in the first half of 2015. Group COR also improved by 1.8 percentage points to 80.7% (82.5%). 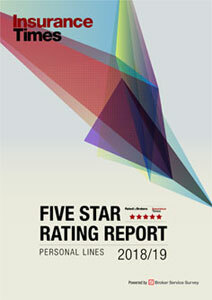 Hiscox chief executive Bronek Masojada said: “Our retail businesses continue to grow in strength and profitability. Hiscox London Market and Hiscox Re have been disciplined in tough markets. Hiscox saw group gross written premiums rise 10.3% to £640.5m in the six months to March, up from £561.7m a year earlier. Briefing: As another insurer goes direct, should brokers be worried? Another day, another insurer going SME direct. This times it is US insurer Travelers, releasing a direct SME office product for fewer than 10 employees and less than £2.5m in revenues. Feefo looks at how companies can garner genuine customer feedback to gain business insights and address customer concerns, with a case study of its collaboration with insurer Hiscox.